Living an active lifestyle is without a doubt healthy for both body and mind. However, excessive sporting activities can have a strenuous effect on the skin. When the body is strained physically it sweats. Sweat releases numerous minerals and salts that are then lacking in the skin. Waste products are also expelled through sweat. If these deposits are not removed, it may lead to irritations. Different exercises have different effects on your skin. Running can cause friction on the skin; the effects of the sun also play a role in affecting the skin, while chlorine water can cause excessive dryness on the skin. It is important to take these effects into account. Moisturize your skin before diving into the pool. A rich, thick cream can help protect the skin against chlorine found in swimming pools. When outdoors always remember to apply sufficient skincare products. During winter it is recommended to use rich, moisturizing creams. 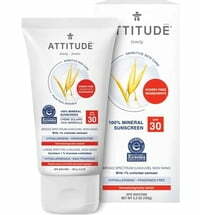 Summer calls for high UVA and UVB protection. Functional clothing may also help protect your skin from the damaging effects of the sun while providing optimal room for the skin to breathe. It is essential to determine your skin type and use skin products accordingly. A lukewarm shower is best after a taxing workout. Cold water on the skin is strenuous whereas warm water degreases the skin. A short splash of cold water at the end revives the circulation. Be sure to use a shower gel that is pH friendly. A pH value of 5.5 is ideal. 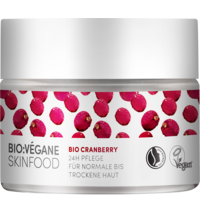 This will remove any impurities and deposits left on the skin. Showering often weakens the acid mantle. It is essential to properly dry the skin. If water evaporates from the skin it may lead to extracting additional moisture. Fill up on fluids - ideally water - after a workout to replenish what was expelled via the skin as sweat. Ideally one should opt for a skincare product like aloe vera gel. It supplies the skin with sufficient moisture and offers the perfect after sun care.